Quality Mazda MX-6 parts can't be found by simply walking into your neighborhood auto parts store. 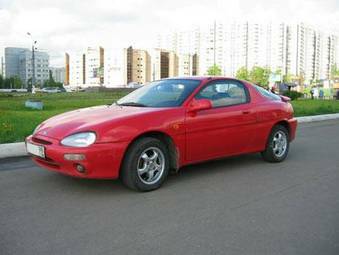 Sure, you can find some generic off-shoots, but can you honestly trust them over original Mazda MX 6 parts? If you do the repairs on your Mazda MX 6 yourself, or you own a repair shop that services Mazda MX-6s, then you know the importance of genuine parts. There are parts that will work in a Mazda MX 6, and then there are genuine Mazda MX 6 parts. With UNeedAPart.com, you maximize your chances of locating quality new and used Mazda MX-6 parts thanks in part to our tremendous number of parts dealers within our network. We have access to the inventory of over 7,000 parts suppliers, so locating the Mazda MX 6 parts you need is fast, easy and effective. Why waste your time looking for Mazda MX-6 parts when you can allow UNeedAPart.com's parts suppliers to do it for you? We can find it all! Mazda MX-6 accessories, Mazda MX 6 struts, even a Mazda MX 6 hatch - they can all be easily found using our state-of-the-art parts locating system. Once you enter the information regarding your MX-6's year and part needed, our massive search engine scans the inventory of over 7,000 parts suppliers. When we locate the exact part you're looking for, we provide you the dealer's information. It's fast, it's reliable and it's easy. Not to mention, it's free! There's no expensive software to purchase, so UNeedAPart.com is ideal for both the home grown mechanic and the professional garage alike! Try it out today, and let us find the Mazda MX 6 parts you've been looking for. Finding the right Mazda MX-6 parts is easy! To get started, simply use the Parts Request boxes at the top and/or side of the page. You will instantly be matched with auto parts dealers that meet your search criteria. UNeedAPart.com helps you find the new or used auto body parts you need in no time!